Get an authentic experience of Cambodia! 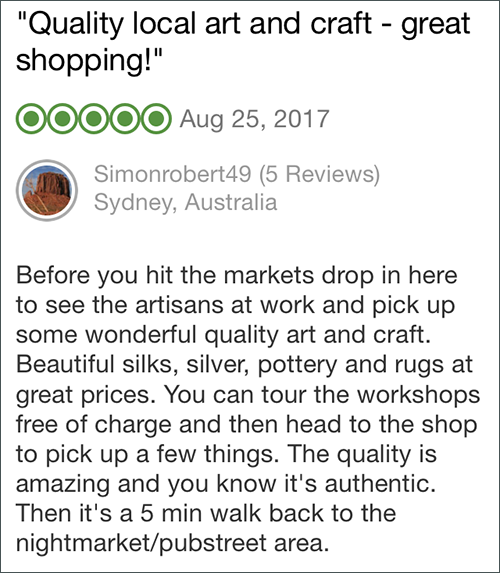 Two of our locations are open for tourist visits: our oldest handicraft workshops in Siem Reap city center and the Silk Farm, which is situated in Puok (20-min drive from Siem Reap). You can visit at any time, and get a free guided tour of our workshops in your language. Siem Reap workshops are open daily from 8 am to 6 pm. 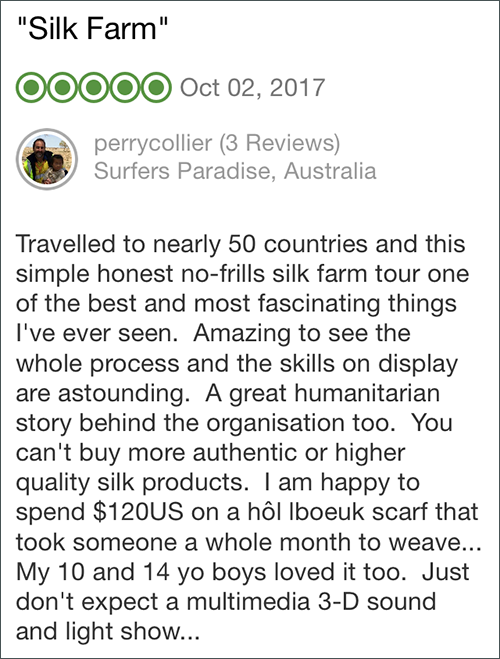 To visit a Silk Farm, you can use our free shuttle service. The shuttle departs daily (including Saturday and Sunday) from our Siem Reap workshops at 9:30 am and 1.30pm. Please pre-book a seat from Monday to Friday by phone: 855 (0) 12 222 404 / 855 (0) 92 777 464, or per email at infos@artisansdangkor.com to be sure to get a place. Alternatively, come to our Siem Reap workshops 15 minutes before departure of a shuttle. Find your way to our Siem Reap Craft workshops or to the Silk Farm here. They rated us on TripAdvisor! Siem Reap Craft Workshops - See more! Angkor Silk Farm - See more!